The establishment of the LCG within the Graduate School of Design (GSD) formalized geographic inquiry at Harvard University. Harvard had been without a geographer on its faculty since 1956, the year of Derwent Whittlesey’s death. Indeed, the closure of the Institute of Geographical Exploration in 1951, following the demise of the subject and department of geography at Harvard in 1948, created a sizable void—and an eventual (if uneasy) opportunity for expansion. The decision by Harvard president Jim Conant to remove the subject area from the curriculum sent waves through the discipline and remains central to the story of the development of geography on this continent in the 20th century. Seen in another light, Harvard’s loss would see the establishment of a new and energized quantitative geography at public flagship universities. Dean Sert of GSD hired Fisher away from Northwestern in 1964, and the SYMAP system came to roost in Cambridge, Massachusetts, in February 1965. With support from the GSD, Fisher founded LCG and put forward a proposal to the Ford Foundation in September 1965. Harvard was awarded $308,000 (translated into today’s buying power, that would be approximately $2.3 million). The directives of the Ford Foundation stipulated that the money was to be spent in its entirety by 1970. As director, Fisher began expanding the lab’s staff. To do so, he reached out to Horwood, as well as his students and assistants. These included Waldo Tobler, Clark Rogers, and Brian Berry. 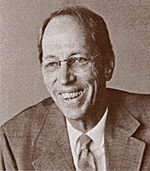 Fisher supported hiring Allan H. Schmidt as assistant director of the Lab in March 1967. Schmidt had previously worked as assistant director of the Urban-Regional Research Institute at Michigan State University (MSU), which was designing a gaming instrument for planning. Schmidt was an advanced user of SYMAP, who had even authored a user’s guide for MSU. In 1966, 10 years after the death of Whittlesey, GSD appointed Bill Warntz as professor of theoretical geography. Warntz, who joined the lab and brought funding from the Office of Naval Research, eventually became its director in 1968. Warntz, a PhD in economics from the University of Pennsylvania, also brought a spatial analytic focus to the Lab, marked by the addition of and Spatial Analysis to the lab’s name. Warntz would join a lab engaged in further development of computer mapping techniques including basic research on interpolation methods as redesigned by Donald Shepard, a freshman in Fisher’s Harvard course on problem solving. 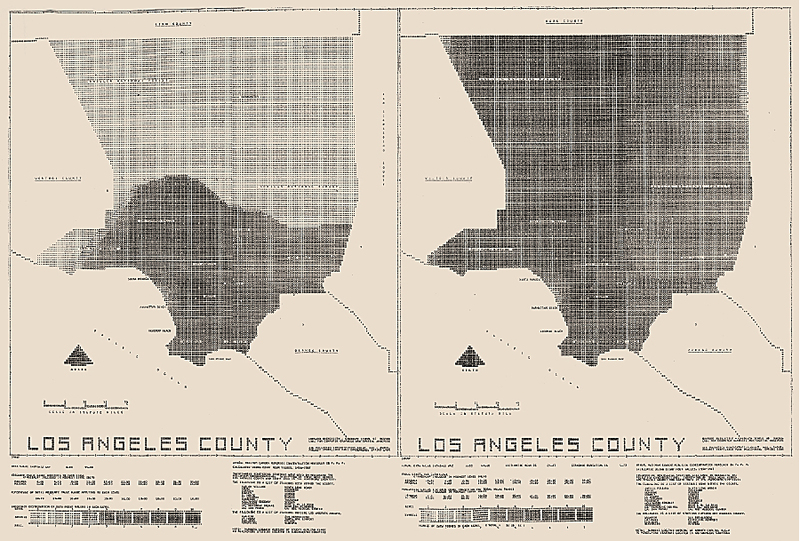 From SYMAP to the Polygon Overlay Information System (PIOS) and AUTOMAP at Esri, computer mapping emerged as an expression of an experimental and creative process. At a time when computer mapping is taken as an object of—rather than just the vehicle for—innovation, GIS practitioners may easily take this for granted. Instead, Howard Fisher’s approach—not as a geographer or even as a cartographer—was to begin with “the problem as a problem,” where our most trusted methods may actually disguise other ways of thinking about the solution. Janelle, Donald G. 1997. “William Warntz, 1922–1988.” Annals of the Association of American Geographers 87 (4):723–731. Steinitz, Carl. 2014. “The beginnings of geographical information systems: a personal historical perspective.” Planning Perspectives 29 (2):239–254.